It’s just the law of nature. The harder we try the less we succeed. The tighter we grip the bat the slower our bat speed. The harder we swing, the less bat control we have. The Art of Hitting will always be effected by the ebb and flow of what we do. With every action there is an equally opposite reaction. The more we think about “not” striking out or hitting into a double play, the more we seem to do it right? So how do we overcome this? How can we learn to hit the baseball with pure concentration? A few days ago I told you about my failure to get a base-hit after 2 hours of batting practice, and then followed up the next day going 2-2 after without even picking up a bat before the first inning. Let me share with you a VERY important principle about begin a GREAT hitter and it has a lot to do with trust, relaxing, remembering to have fun, and just playing the game. I also wan’t to talk to you about practice and how it can be over-rated. Yes I know I said it! OVER-RATED! When we practice there has to be a reason. Not because your coach says so or even because you think that sending time in the cage is the only way to get better! It’s not. When we practice, we have to come to a point were we know exactly why we are here. If it’s not to get better then what is it? It’s to be present. To be in the moment and 100% completely aware of the task at hand. What this kind of awareness does is allow are ability to focus and concentrate to arrive when it’s needed most. This is the same level of concentration that you need when you step into the box. You have to forget and just do! So this is what happened to me. I gave up trying and just “did”. I forgot about results. I forgot about my sense of urgency. There is no sense of time when you’re completely in the moment. The moment I didn’t care about being successful was the moment I was able to really allow my natural talents and ability to shine through. Hitting is about performing within the “space between your thoughts”. There is no room for thinking. No one to impress. Nothing to accomplish. Similar to a song….there is no music without the silent space in between. 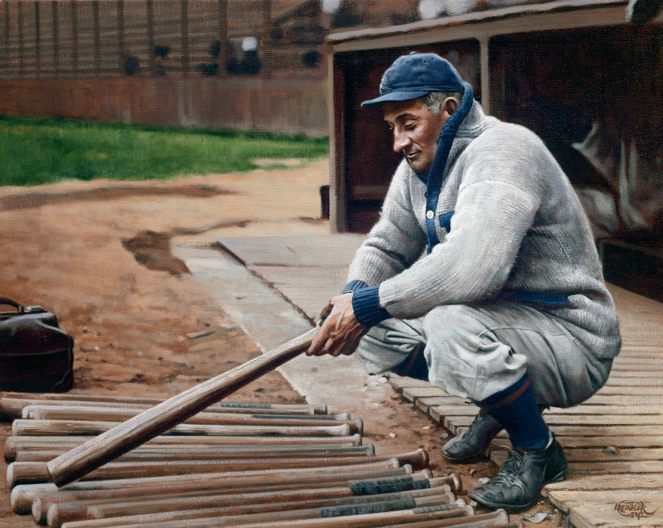 There is no true concentration within the batter’s box without silence in your mind. Have you been struggling with thinking to much. Do you feel like no matter how hard you practice, you just can’t seem to get a hit? Do you wan’t to become a better hitter? Well it’s absolutely possible to do that without even picking up a bat. You can begin by reminding yourself why you ever picked up a bat in the first place. Answer that question, quite your mind……and you’ll have your solution to every single hitting obstacle you’ll ever face! Share your thoughts below and tell me what has been your BIGGEST hitting obstacle as of late! Previous post: What’s Your Mission? What’s your Baseball Dream? Will you join me?